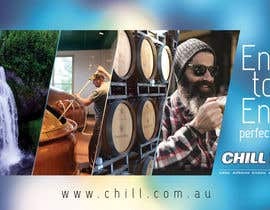 CHILL [login to view URL] an award winning temperature controlled logistics company (think cold storage and cold transport) are sponsoring the craft brewing awards and have an opportunity to place an ad in the awards magazine. FILE SPECS - These are based on a final book size of 21cm wide and 27cm high. 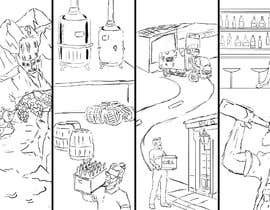 Craft beer is a process that starts and finishes with love, passion and dedication. 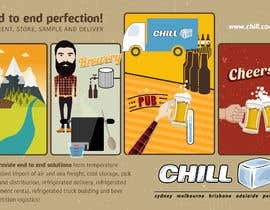 Read a little about craft beer to understand who you re targeting. think hipsters, beards and beer swilling blokes but theres a few chicks too. Think purity, Think art, think art meets science. CHILL is a cold logistics company like no other. Dedicated, passionate and committed. 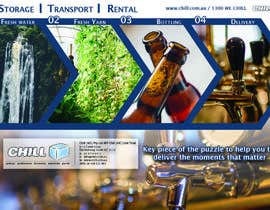 CHILL provide end to end solutions from temperature controlled import of air and sea freight --> cold storage ---> pick pack and distribution --> refrigerated delivery ---> refrigerated equipment rental --> refrigerated truck building. All of these services are relevant and may be useful to this industry. But they are clever, crafty, funny, story telling, joking , drinking brewers so we want to catch there attention in a simple yet clever way. 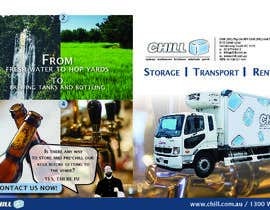 "keeping the HOP - HIP"
"Licensed to Chill ... (your kegs, cases and hops)"
"ROLLing out your beer - without ROCKing the merchandise"
Phrases we use although not essential unless it fits design. 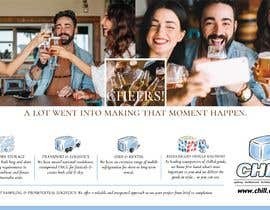 Ideas we have had internally for the ad. Hi! CH please review #8 thank you. 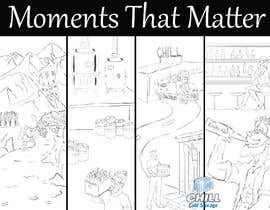 are you hoping for a final piece or will you accept a sketch of an deal with part of if worked up, only just found this contest and time is short, thanks. I am working on it.Thanks! awesome. Look forward to seeing what you got.